The objective of the New London Power Squadron is safe boating through education. We offer a variety of courses and provide information on topics of interest to today's recreational boater. 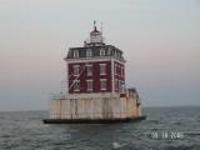 Sailing off to Block Island?...Fishing for bluefish at the Race?...Waterskiing and tubing with the kids?... No matter what your interests on the water are, we offer educational programs and materials to make your time on the water safe and fun! Our Education Programs can be divided into two groups... Courses offered to the general public and courses offered only to our members. All of our courses are free. You only pay a nominal charge for the book and materials.